For the past few years we have lived on a busy street without a sidewalk, so we never had to think much about trick-or-treaters. This year, we find ourselves in the opposite situation. We have moved to a quiet neighborhood where trick-or-treaters will be plentiful! I like to get a head start on holidays, so I’m already looking at candy. Those bags of candy are EXPENSIVE! They are also full of sugar, preservatives, high fructose corn syrup, and worse. Needless to say, I had to look into healthy Halloween treats as a better alternative. I think it will be nice to have something different, along with some non-candy alternatives that will work for children with food sensitives or allergies. Below are ten healthy Halloween treats I found. Some are more affordable than others, so I plan to get a mix of the group. I hope you find something that will work for your Halloween treat basket! 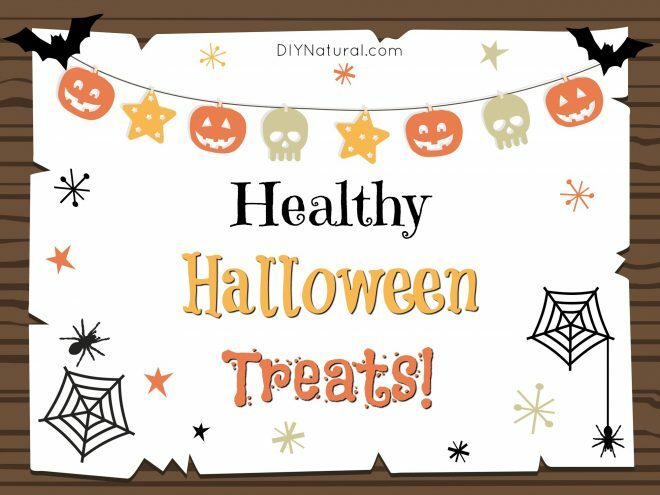 What healthy Halloween treats are you excited to hand out this year? Kids also love temporary tatoos! These are some great ideas. Thank you for sharing your list! I have used Halloween pencils, glow bracelets and stickers for years and kids LOVE them. They never ask where the candy is. All of these treats sound super cool! I’m definitely making some for my halloween party. Thank you for sharing!